With the TracPad™ Kit you can make your own bench pads! Peel & stick the 2-3/8" traction rubber to both sides of a wood block and these pads will grab your bench and the wood for amazing staying power. 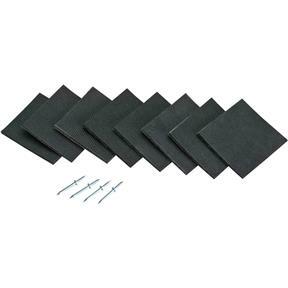 Great for routing, sanding, and finishing, this kit includes eight pads and four removable blind nail finish pins.